Put your Flash the Golden Eagle spirit on display in this Kent State Golden Flashes Long Sleeve Hoodie! You'll be cozy on game day in this Kent State University Mens Navy Blue Fleece Hooded Sweatshirt. This Flash the Golden Eagle Long Sleeve Hoodie features a front chest twill applique. 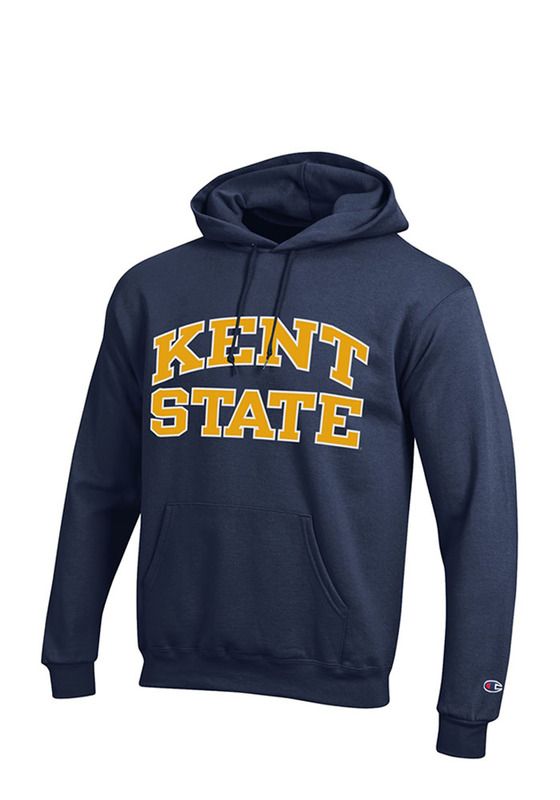 Wear your Kent State Golden Flashes spirit with pride in this great Mens Hooded Sweatshirt!